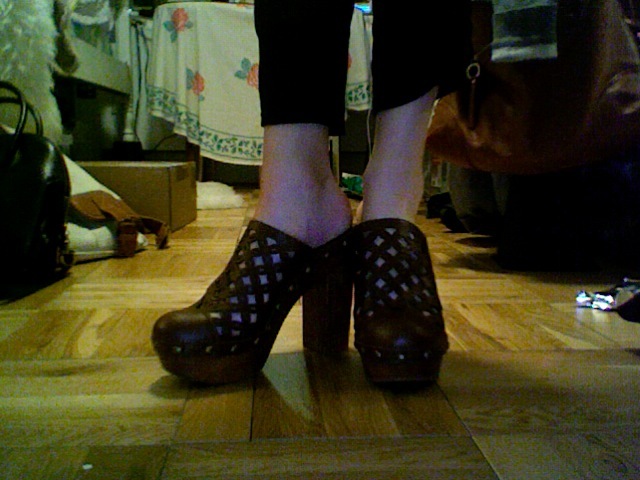 These are Jeffrey Campbell “Woodies” courtesy of Free People. I technically do already have a pair of high-heeled clogs, but my other ones are open toe and have a stiletto heel, these are much more day wear. I ordered silk socks to go with them, which should arrive tomorrow and I think a super chunky knit sock will look adorable too.